Reconciled is pleased to announce the opening of a new satellite office in Los Angeles. The online bookkeeping firm for entrepreneurs launched a L.A. office in partnership with local bookkeeping firm Logistis to expand services to entrepreneurs in the greater L.A. region. LOS ANGELES, Calif. /Mortgage and Finance News/ — Reconciled is pleased to announce the opening of a new satellite office in Los Angeles. The online bookkeeping firm for entrepreneurs launched a L.A. office in partnership with local bookkeeping firm Logistis to expand services to entrepreneurs in the greater L.A. region. Founded in 2015 in Burlington, Vt., Reconciled has been serving entrepreneurs across the country. The partnership was formed as a part of Reconciled’s strategic growth plan to offer improved accessibility of its award-winning bookkeeping services to small businesses in major U.S. hubs. “As I’ve gotten to know Marissa McKinney, CEO of Logistis, we realized our values aligned, as well as our goals to serve as many entrepreneurs as possible with our forward-thinking bookkeeping and advisory service,” said Michael Ly, CEO of Reconciled. Reconciled currently provides bookkeeping services to entrepreneurs in a range of industry types and sizes, from e-commerce to property management. The aim of this new partnership is to build services to meet the specific needs of the L.A. business community, with the hope of building robust client relationships as they expand into new industries. “Our partnership with Reconciled allows Logistis to serve our current customers on another level even better and provide future customers access to Reconciled’s industry leading process and team. This partnership also allows Logistis to strengthen relationships with local creative entrepreneurs like interior designers,” says Marissa McKinney of Logistis. Michael and Marissa believe that the combination of Logistis’ strong local presence and Reconciled’s dynamic and growing team of US-based bookkeepers will benefit both partners and clients. Each company brings a unique set of innovative solutions to help businesses streamline and improve their bookkeeping, as well as enhance possibilities for client growth. 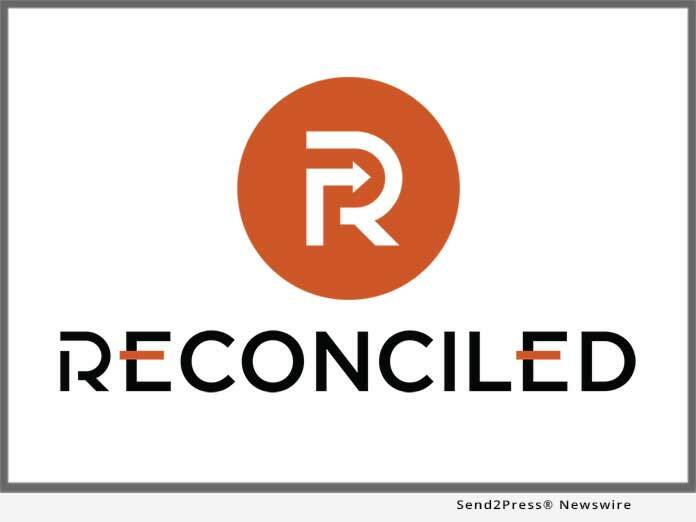 For more information about this partnership or about Reconciled’s L.A. office, please contact Marissa McKinney at marissa@getreconciled.co, or call 323.376.0900. Logistis is a cloud-based accounting firm out of Los Angeles, Calif. and servicing clients across the country. Their focus is to specialize and leverage the best cloud-based accounting technologies in order to help clients improve efficiencies in their accounting process. Logistis is committed to offering clients exceptional accounting support services and their skilled team of professionals is committed to servicing clients in the areas of reporting, strategic planning, tax planning, financial planning and HR services. Learn more: https://www.logistis.us/. In 2015, Reconciled opened in Burlington, Vermont, using the most innovative, best-in-class digital tools to provide online bookkeeping services to entrepreneurs and small business owners throughout the U.S. and beyond. Reconciled’s dedication to innovative technology use made them Intuit’s 2018 U.S. Firm of the Future. Our team of U.S.-based accounting professionals have a broad range of proven industry experience. Reconciled now employs a growing team of 20 dedicated professionals, and has offices in Burlington, Vt., Charlotte, N.C., Denver, Colo. and Los Angeles, Calif. Learn more: https://getreconciled.co/.